Join the Calgary Serbian community as we entertain, feed and wow you with fantastic cultural and sports events during the May long weekend. This exclusive event will feature a broad multicultural program showcasing some of the best cultural dances that the city has to offer. Don’t know what Serbian culture is? 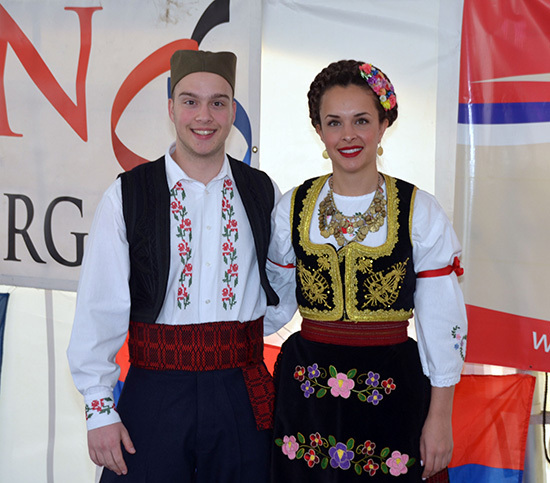 Come out and join us for some fabulous homemade Serbian food, cultural exhibits, sports competitions and much more. So don’t wait! Mark it in your calendar today. Proceeds will be donated to the future Serbian-Canadian cultural centre, Alberta Children’s Hospital Foundation, and the Calgary Drop-In Centre. Download our poster. 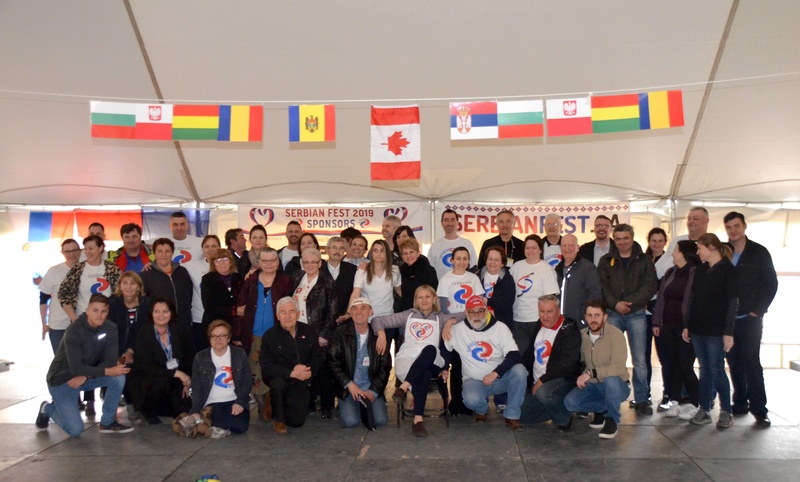 SerbianFest will take place May 18th and 19th, 2019 (safe and dry in our tents - rain or shine). Serbian Fest is pleased to announce that we will be accepting non-perishable food items on behalf of the Calgary Food Bank for those in need. Please look for the designated donation boxes onsite. Saturday and Sunday from 11AM - 5PM We are safe and dry in our spacious tents and will proceed rain or shine! Indulge yourself in a range of exotic foods that will have your taste buds tingling at the festival. Enjoy some of Serbia’s most delicious foods and experience a small portion of Serbia’s finest cuisine. Below are some of the favourite delicacies that will be available for purchase at the Serbian Festival in Calgary. This little tongue-twister is one of the first words a foreigner learns upon arriving to Serbia! 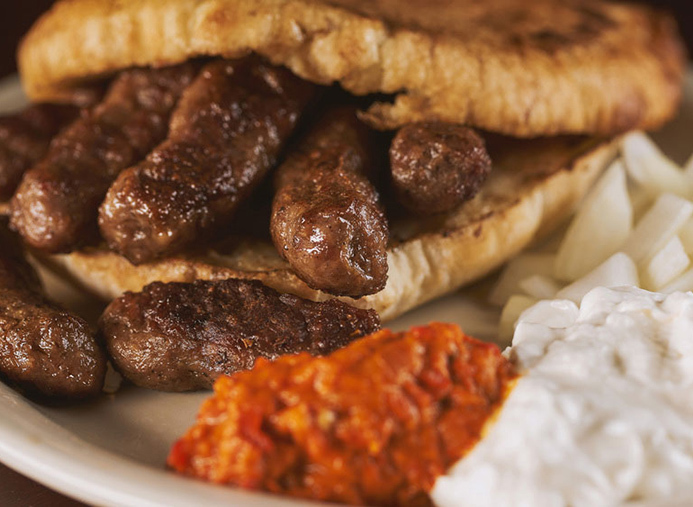 Ćevapčići are meat fingers made of minced beef and veal, infused with spices and grilled to perfection. 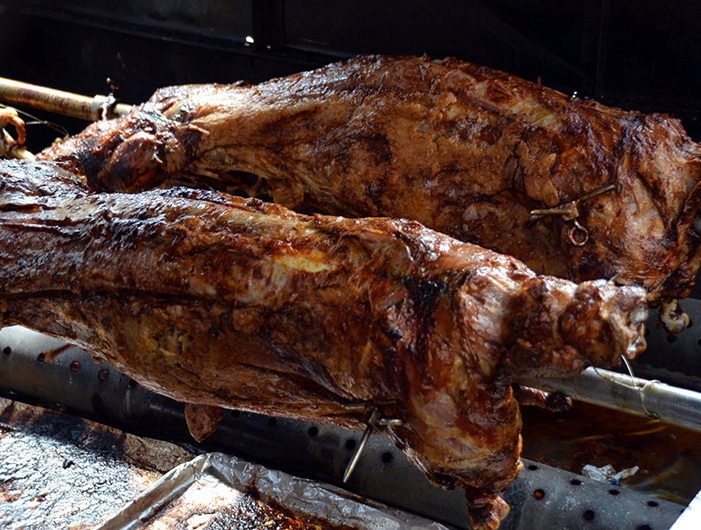 After the meat is washed, cleaned and seasoned liberally with salt, it is roasted whole on a spit and enjoyed with lepinja (home-meade bread) and salad. 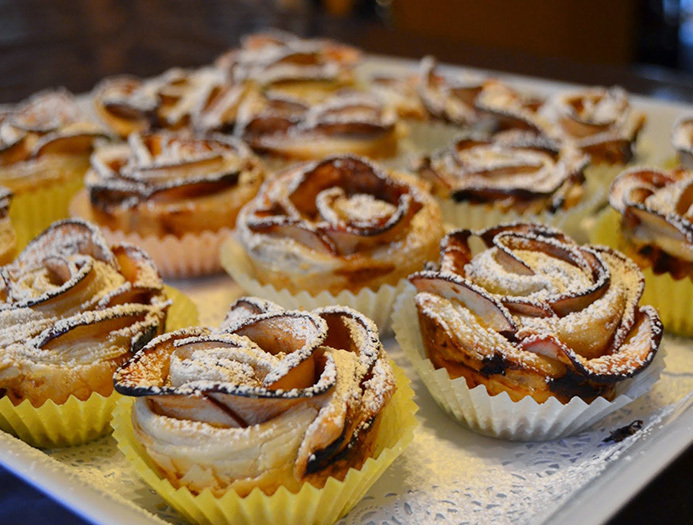 Enjoy a great assortment of sweets including palačinke. These delicate crepes are simple to prepare and can be made either sweet or savoury. Make our event special and perform at the Serbian Fest! Out of town Performers and Sporting event participants, we have secured special overnight rates through Service Plus Inn. Please book by using the promo code "Serbian Festival". We need your help in preparation for Serbian Fest. Serbian Fest 2019 invites all potential sponsors to help make our 9th annual festival the best Serbian Fest to date! Part of the proceeds will be donated to the future Serbian-Canadian Cultural Centre, The Alberta Children’s Hospital Foundation, The Calgary Drop-in Centre and The Calgary Food Bank. All sponsors and sponsorship funding is greatly appreciated and we will formally acknowledge all sponsors at the opening ceremony presentation. 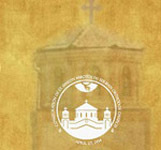 All donations can be made out to ST. SIMEON SERBIAN ORTHODOX CHURCH. Again, thank you for making Serbian Fest 2019 a great event! Sponsorship Levels Pay for Sponsorship!